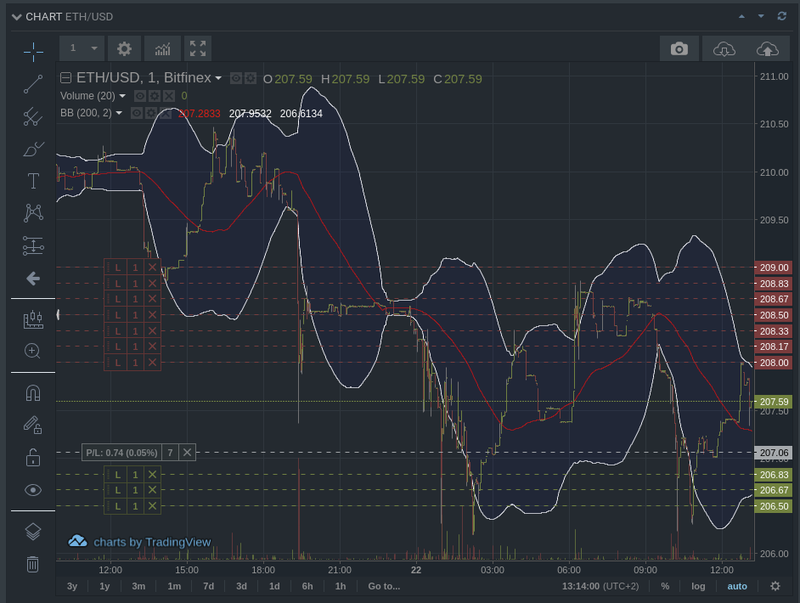 We’ve updated bfx-hf-algo to version 1.0.4, and with it comes a new algorithmic order type: Ping/Pong. 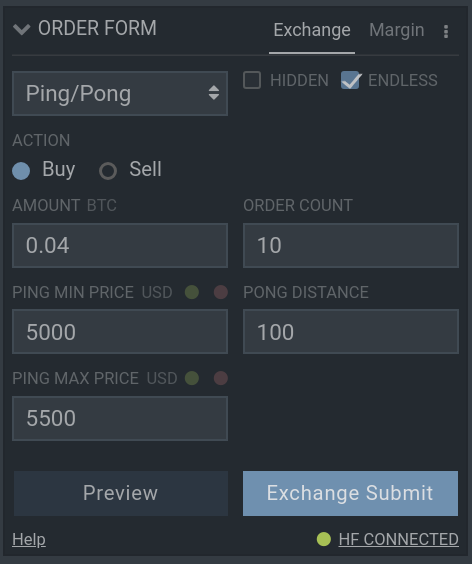 Ping/pong orders consist of multiple ‘ping’ buy or sell orders, which once filled trigger the creation of associated ‘pong’ orders, set a certain ‘pong distance’ away from the original pings. In other words, ping/pong allows you to schedule orders after other orders are filled. If the ‘Endless’ option is enabled, the original ‘ping’ orders will be resubmitted after their associated ‘pongs’ are filled, causing the ping/pong order to loop indefinitely. This order type allows you to consistently buy & sell a specific amount over a varying range, working with the price as it oscillates. Potential use cases are market making and gradually accumulating a currency while following the price action. We hope you find it useful; if you have ideas for new order types, or general comments & suggestions, head over to the Github page for bfx-hf-algo.